Conifer colors consist of: dark green and brownish-green. 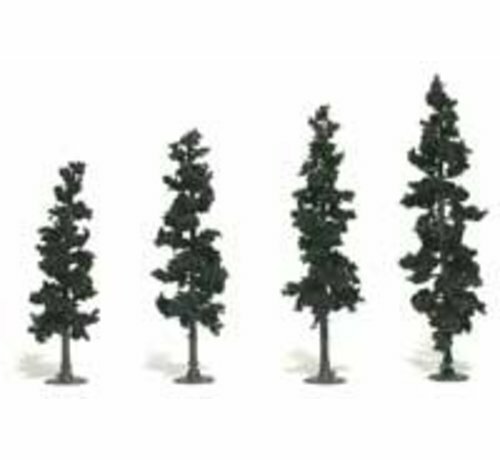 24 Realistic Conifer Colors Unassembled Pine Trees. 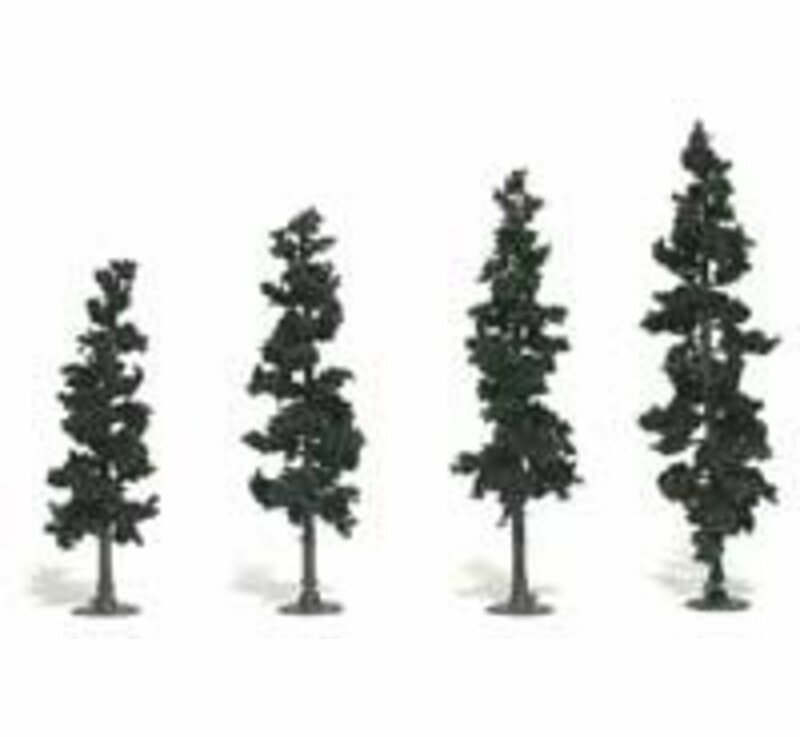 Height: 4" to 6" (104-156mm).